INTERSCHUTZ PRESSRELEASE – Nordic Solution is a comprehensive recorder system for recording simulation training events at a simulation centre. Nordic Solution is part of the family of Nordic Simulators recorder products, all of which are controlled with the same easy-to-use software. Developed in collaboration with health-care professionals, the result is a high-quality, very easy-to-use and versatile system. Installation of the overall system is easy: The package covers everything from recorders to special projectors. As many as 16 cameras can be installed with one recorder. Through addition of new recorders, the system can accommodate an almost unlimited number of cameras. The system is housed in a single technology cabinet that is easy to install in the control room. The recorder uses high-quality HD-level digital cameras with built-in microphones. The cameras also have infrared illumination, allowing the system to record everything without the need for visible illumination. Image recording in the dark can be utilised in drills for special conditions – for example, during blackouts or in military applications. Equipped with 360-degree turning and optical zoom, the system’s camera is a digital unit that oers precise zooming and HD-quality images. The vital monitors in our patient simulators can be integrated with the recording system in a fully wireless manner with the aid of our capture software. Several vital monitors can be connected to the system, to allow for training with multiple patients, for instance. The Nordic Solution recorder software is very easy to use, with an average learning time of ve minutes. Our philosophy is that the customer must be able to concentrate on the medical exercise, without having to worry about the technology. 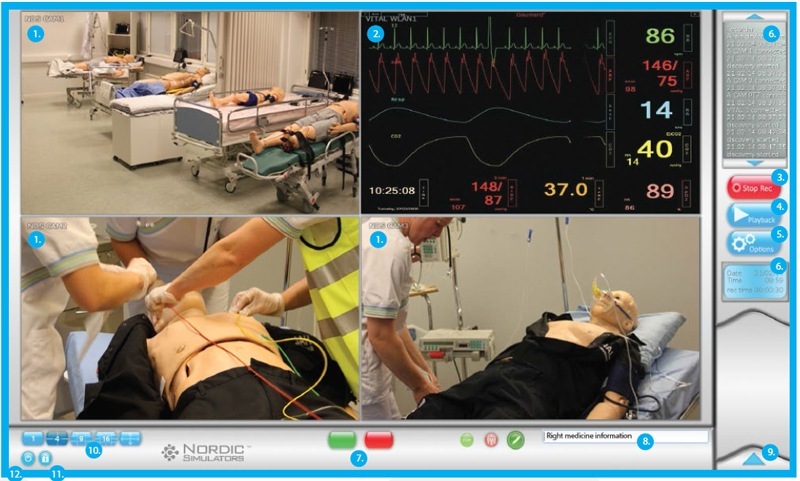 The Nordic Simulators Recorder system is very easy to use, giving the user a fast and versatile HD-quality system for wireless use in medium-sized simulation centers. Delivery includes a computer with an integrated multi-channel recorder, three wireless HD-quality digital cameras (one pan/tilt/zoom) with microphones, and wireless integration with the patient manikin’s vital monitors. Also, a remote playback unit is included. Customers can easily complete the installation themselves. Many recorders and playback units can be integrated to form a single large system. All our recorders run the same debriefing software, so familiarity with one recorder means that you can use them all. The main goal in our product development has been to create a product that is user-friendly and whose basic set-up can be learned in just five minutes. 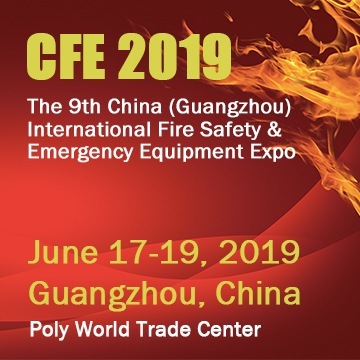 Our target is for the training instructor to be able to focus on medical factors without having to worry about technical details during the training. The user interface is simple to work with, and all unnecessary buttons have been removed. All this is possible because the product has been developed in cooperation with customers.